Books: Books and records (every genre). Vintage Pop Culture magazines. 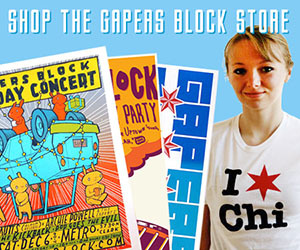 I carry new vinyl LP releases by Chicago labels Bloodshot Records and Numero Group. How did Shake, Rattle & Read come into being? Going along with that, how did it become a part of the Uptown neighborhood? The shop was established in 1966. My sister Gail and her husband James lived on Dover St. and Sunnyside Ave a few blocks away. The store was named Book Box. We still keep that name in our title. In 1971 I moved here and got an apartment at Beacon St. and Leland Ave. I sold records for a living, working at various record stores. In 1986 my sister wanted to retire from Chicago, and sold the store to me. 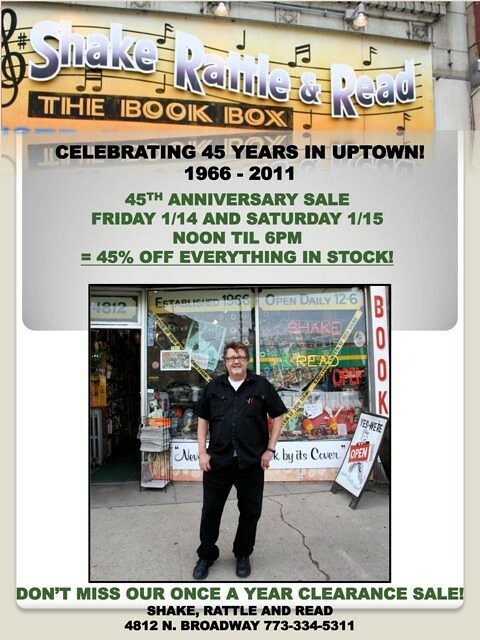 2011 is the start of my 25th year and the 45th anniversary of the shop. We have always been in the same location. Do you feel the store's changed along with the neighborhood's demographics? How so? The store changed after I bought it. Previously it was all used books. I added the used records, pop culture items, and rock n' roll collectibles. It was in 1986 that I changed the name to Shake Rattle & Read to reflect the more rock n' roll attitude that I was bringing to the store. 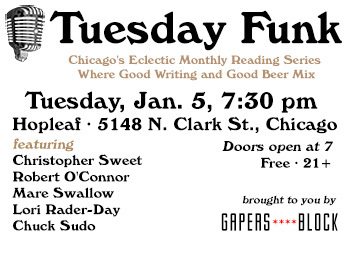 The neighborhood has always been the greatest melting pot of folks on the North Side. All age groups, all nationalities. It's a very working class neighborhood. Any amazing customer stories over the years you'd like to see? Good, bad, or just weird? 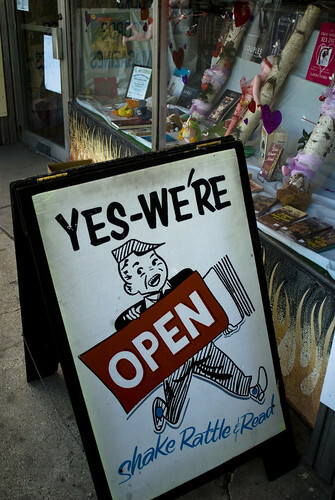 the store when he was alive and declared the store as a "pop culture museum". 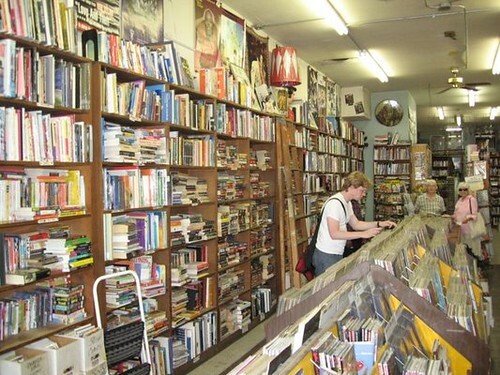 Why are used bookstores important to a neighborhood? What do you feel Shake Rattle & Read contributes? Yes, it is important. It is a meeting place. It is a good place to bring a first date. It is a great place to hang a flyer or to talk to other neighbors about what's going on in the neighborhood. 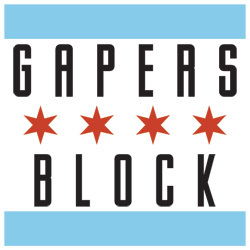 Lately, this discussion has been the upcoming election of 2 new alderman in our wards. Where my shop is located (Broadway and Lawrence) is the dividing line between the 46th ward and the 48th ward. Everyone is talking about that and the election of a new mayor. Used book stores are also very important to having a 'green' city. Everything here is recycled. How do you select books and music? Books have to be interesting and clean. Records have to be like new. Gently used. With the advent of the Kindle and the IPad I am being much more selective with the titles. When I am looking for books and records I am looking harder now for just the great ones! Do you feel selling books and media comes with a unique set of challenges? What about benefits? [The challenges are] pretty much as stated above. I love working with the public. There is always someone interesting coming in. And when people bring in a box of their things for sale or trade, you never know what is going to be inside the box! Everyday is exciting and there is always a surprise of some kind. What do you see in Shake, Rattle & Read's future? when I began selling items online at eBay, and then a few years later on Amazon. As long as folks will continue buying used books and records, I plan on doing my best to keep the doors of the physical shop open at 4812 N. Broadway. 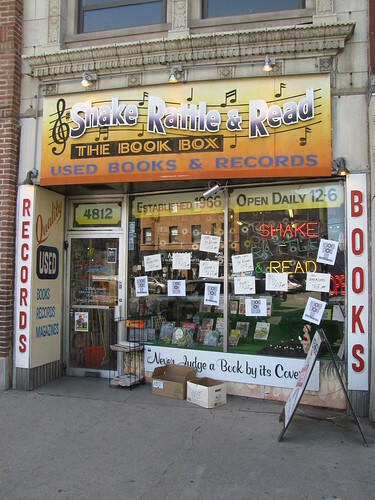 Shake Rattle & Read is open Monday-Saturday, 12pm-6pm, and Sunday 12pm-5pm, and is located just west of the Lawrence Red Line stop. Love Shake Rattle and Read. Nice interview. Ric is a prince among men. A good friend behind the counter and a greater one to sip & chat with at the far end of the bar. Long may he and his shop prosper. Doesn't his store have some sort of secret passageway under it? I don't think any other store can claim something as cool. Indeed it does have a secret passageway which does connect to the green mill passageway, I am the son to Gail and James (who owned it before) and grew up in that store.